A world free of breast cancer is Professor John Forbes AM's aim, and with a number of pioneering breakthroughs credited with saving millions of women's lives over his 40 year career, he is well on his way to achieving his goal. 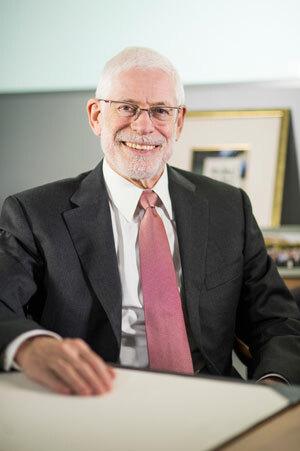 Awarded the 2015 NSW Outstanding Cancer Researcher of the Year and named as one of "the world's most influential scientific minds" by Thomson Reuters in both 2014 and 2015 , Professor Forbes has dedicated his life to reducing breast cancer mortality rates and improving the quality of life for women with the disease. "Today, seven women will die of breast cancer in Australia. Tomorrow, another seven. The day after, another seven. These are wives, mothers, sisters, friends and colleagues," said Professor Forbes. "I want a world without breast cancer. No one at risk, no one getting it, no one dying from it. From the University to the hospital to our global collaborators, we're all motivated towards curing this disease," he said. The University of Newcastle Professor of Surgical Oncology and Director of Surgical Oncology at the Calvary Mater Hospital has chaired a number of international breast cancer clinical trials as the Research Director and a founder of the Australia and New Zealand Breast Cancer Trials Group (ANZBCTG). 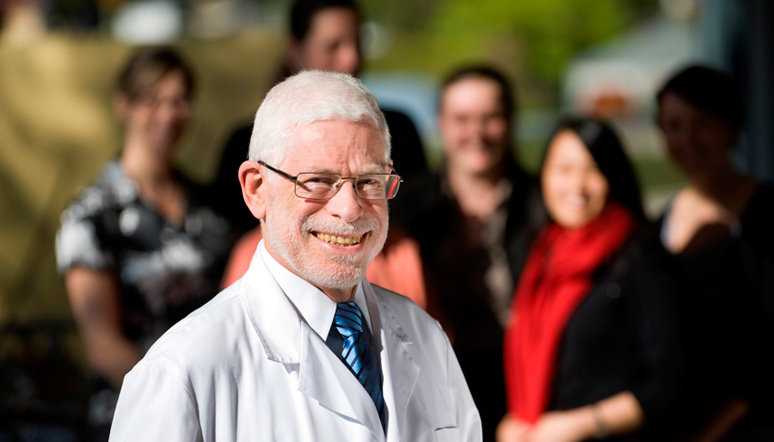 Among many of his career highlights, Professor Forbes chaired the Australian and New Zealand arm of the International Breast Cancer Intervention Study (IBIS I) clinical trial, which established that tamoxifen could be used for more than just successfully treating breast cancer – it could also be used in prevention of the disease. "This discovery meant that women at high-risk of breast cancer had another step they could take to reduce their risk, which was more than just a regular breast x-ray. They could additionally take tamoxifen to reduce that risk or even use it as an alternative to preventive mastectomy." Professor Forbes is currently overseeing the Australiasian arm of the IBIS II trial to investigate whether the hormone therapy, anastrozole, can be used to prevent breast cancer in women who are at increased risk. The IBIS II trial also compares tamoxifen to anastrozole to see which is more effective in treatment of early forms of breast cancer. While the benefits of tamoxifen have been known for over a decade in research circles, it was only during 2013 that three international organisations made independent recommendations that tamoxifen should be included in standards of care for women at high risk of breast cancer. The National Institute for Health and Care Excellence (NICE) and the American Society of Clinical Oncology (ASCO) made the recommendation in June 2013, based in part on Forbes and the ANZBCTG research. In July 2013, the United States Preventive Services Task Force (USPSTF) followed suit. The World Health Organization lists breast cancer as the top cancer in women in both the developed and the developing world, with more than half a million women worldwide dying from breast cancer each year. As with most terminal illnesses, time is of the essence in the battle against breast cancer. Professor Forbes believes the benefit of new research in gene analysis is two-fold. "Gene technology will not only change the accepted approach to cancer treatment, but also make trialling of treatments faster and more efficient," Professor Forbes said. "At present, we have to recruit a high number of people for prevention trials to see whether the drugs will work," he said. "Using genome technology will allow us to do a simple blood test that reveals a biomarker that identifies the gene or broken gene or molecular pathway that is active and identify high-risk patients. This could see clinical trials that used to take five years reduced to being done in 18 months. We will need fewer people, lower the cost of the clinical trial by as much as one-tenth, and learn much more quickly which drugs work and which ones don't." "We are rapidly unravelling molecular pathways to find critically important targets that can switch cancer cells off or destroy cancer cells. From there we aim to refine, define and analyse those molecular markers and build targeted therapies." Learning more about the genetics of cancer will also help determine which patients are likely to get side-effects from different treatments, marking another step towards tailored and personalised medication. Professor Forbes is also a driver of a paradigm shift in cancer treatment. Historically cancer treatment has started with the removal of the tumour and then chemotherapies to treat any stray cancerous cells and hormone therapy to prevent recurrence. Professor Forbes questions this logic. "A lump in the breast is not a fatal illness. People don't die from a lump in the breast. The spread of the cancer is the killer," Professor Forbes said. "The problem with cutting the tumour out is that we never know if the treatment is working, but we know if it has failed when the patient gets a reoccurrence. It is an old-fashioned approach in today's society and there may be better ways. " The alternative is neo-adjuvant (or pre-surgical) treatment which involves starting with the chemotherapy and hormone treatment first, monitoring its effects on the tumour and then doing the surgical removal. This allows treating physicians to measure the change in the tumour often reflected in the tumour decreasing in size and shows whether the drug is working more quickly or whether a different drug needs to be used. This approach would also shave years off translation from research to the front-line, according to Forbes, who adds that "while this is not rocket science – it is an enormous shift in thinking globally." Under Professor Forbes guidance, the ANZBCTG, Australia's only independent collaborative breast cancer clinical trials research group, has contributed substantially over the past 35 years to major international clinical trials. This research has established the benefits of drugs like tamoxifen and anastrozole which is a new class of drugs known as aromatase inhibitors. A premier centre of excellence for breast cancer research, the ANZBCTG involves multicentre clinical trials and collaborates with more than 600 researchers in 84 institutions across Australia and New Zealand. "If there is an important new discovery that is ready for clinical testing, there is a high likelihood that the University of Newcastle and the ANZBCTG will be involved," Professor Forbes said. "The University of Newcastle and ANZBCTG make a major contribution to world research and create opportunities for young researchers to work with us. Building this next generation of researchers started yesterday, is continuing now and is important tomorrow." To Forbes, the valuable of global collaboration is paramount in making advances. As he says, "collaboration is all about sharing knowledge, sharing ideas and resources, sharing the frustrations and ultimately, sharing the successes." "Through our collaborations, the University of Newcastle is on the cutting edge of global research. We're part of the Australian focus for investigating new treatments for breast cancer. With one in eight Australian women developing breast cancer before the age of 85 years, the University and the ANZBCTG activities are crucial in gaining Australian women access to potentially better treatments."